Androsace alpina - Carinthia (Austria). 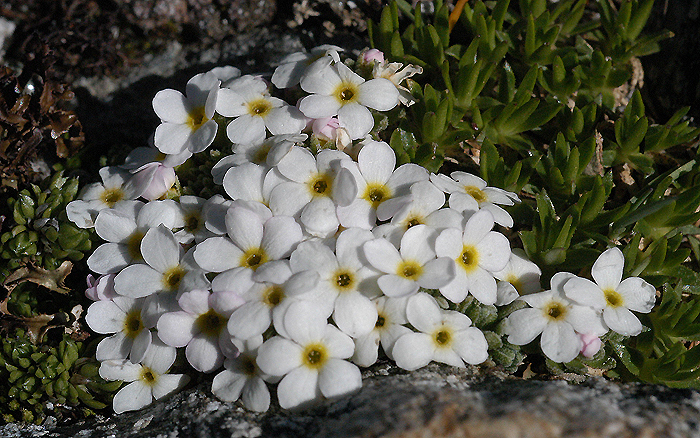 A delicate and lovely high alpine species which is found in the European Alps. There are white and red forms.